With fitness the only buzzword on everyone's mind and the marathon season looming, it is time to get back to running with a vengeance. 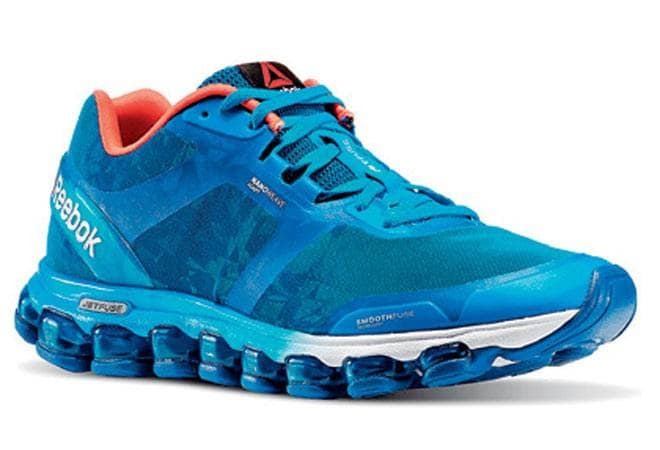 To help you run more effectively, Reebok has launched the ZJet Run Ghost shoe that gets its inspiration from a jet engine and is equipped with the proprietary Speed Channel moving air technology offering maximum cushioning and flexibility. The air in the Jetfuse technology pods on the sole moves back and forth with every stride, and helps propel you forward. Also, the key abrasion areas in the heel and forefoot are equipped with minimal high abrasion outsole rubber, which protects the shoes from heavy wear and tear.